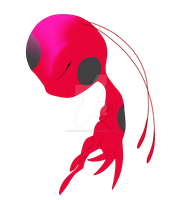 Yesterday's cutie: Tikki from the new series Miraculous Ladybug. I used a ref from Nickelodeon's website. I can't wait for it in Hungarian!